A Page Is Turned: Coming Soon! If you've been around long enough you know that each year I get really, REALLY excited about Halloween. It's just one of my favorite times of the year! It's such a fun holiday without all of the pressure and expectation of Christmas. (That's not really fair. I love Christmas for its real meaning. And I loved commercial Christmas as a kid. It's just a lot of PRESSURE as an adult and then we lose the real meaning.) But Halloween can just be FUN. James' birthday is on the 20th and mine is on the 30th so it's just a fun month for us. We love fall in our house! For the past few years I've written daily posts with ideas for Halloween. Our favorite things, things we're doing, recipes, etc. I'm going to attempt it again this year! We don't have a trip to Disney World (so sad!!!) right in the middle of the month this year, so MAYBE I can make it? Maybe I can go all 31 days? Please know that I know that Halloween is not for everyone. And I know that some of you are rolling your eyes about going all out for a holiday. It is just for fun! And it's just something that we like to do around here and that I like to make special for my kiddos. 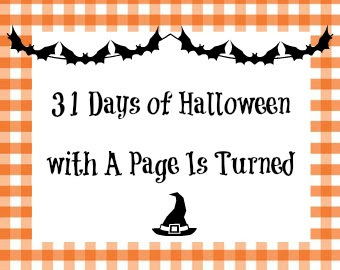 If you're interested in seeing my boys in their costumes, seeing what fun fall recipes I try, and what books and movies are our favorites this year, then stay tuned! I cannot wait to share all that we're doing! See you on Saturday!